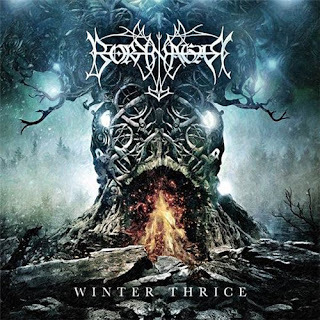 Has passed quite a bit of time since we heard the latest Borknagar production "Urd" released almost four years ago, "Winter Thrice" is their tenth full length, Yes! 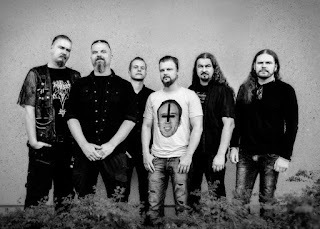 You listened right, they have just released a new album starting this 2016 in the best shape as they could and being honest with you guys, during the last fifteen years I haven't heard anything that matched their opus titled "Empiricism" back in 2001, were Borknagar began to experiment with some progressive elements rooted into Viking mythology, cosmos and nature. 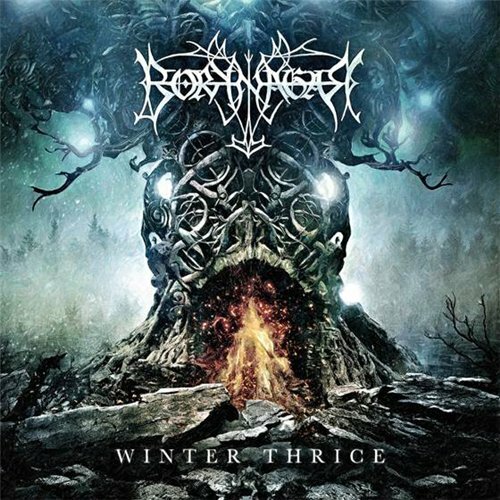 It is undeniable how Borknagar has evolved over time, polishing their sound that wanders between a mixture of progressive rock, black metal, folk and atmospheric among some other elements, "Winter Thrice" grant to the listener a satisfying experience taking them through a varied landscape of soft tunes built over complex musical structures, vocally speaking they lead you to an epic climax that lingers from the beginning to end. 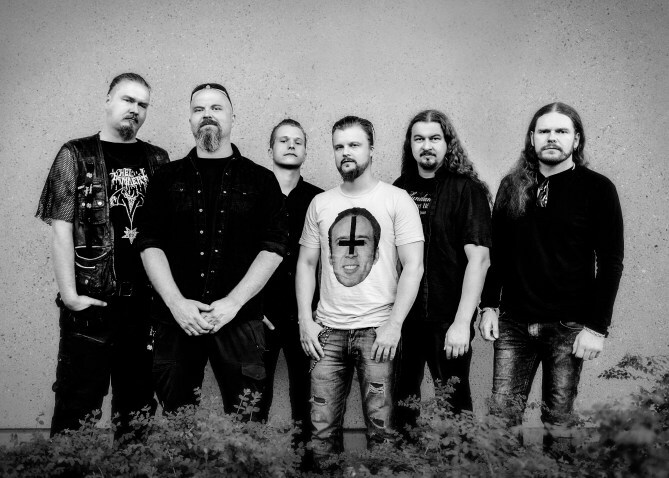 Borknagar current lineup seems to be the most talented they were able to put together, such an alliance would have been impossible to see a decade ago, but time and space work in wonderful ways and today we can appreciate their work with Øystein Garnes Brun on lead guitars, Jens F. Ryland on rhythm guitars, ICS Vortex on bass and vocals, Lars Are Nedland on keyboard and vocals, Vintersorg on vocals and Baard Kolstad behind the drums all together offer nearly a masterpiece in my opinion. The first track of the albums is "The Rhymes of the Mountain" built over melodic guitar riff and blasting drums, while the clean vocals battles the harsh vocals, the keyboard layers some fine tunes striving to create an epic ambience, followed by "Winter Thrice" which opens with a soft keyboard and suddenly explodes in your face, seriously this track takes you into a journey between heaven in hell, formidably aggressive and calm at the right moment the wide vocal range gives the whole album another feeling, next is "Cold Runs the River" speed takes over by infected black metal riff layered brilliantly, powerful drums while the growl vocals stand out with terrific clean backing vocals, the remarkable part of this track comes in form of a superb guitar solo, "Panorama" goes more experimental, diving into a more deeper progressive current, but still sound refreshing for a midway album, then comes "When Chaos Calls" with a slightly reminiscence of Vintersorg, it seems that few riff were borrowed by Borknagar and these were infused in this cut, "Erodent" teases the listener with a varied harmony that rarely blast the moment, "Noctilucent" the shortest track in the album reflects the calm and grandiosity that simplicity can achieve, subtle vocals with lilting pace, "Terminus" delivers some vicious black metal riff blended with clean vocals engaging the listener, with countless twist here and there to sound interesting, the limited edition digipak contains a bonus track titled "Dominant Winds" which is an excellent closing track because simply doesn't break the balance crafted along the whole album making worthy to get this version. While "Winter Thrice" can be really appreciated by fans of Opeth, Enslaved, Mastodon among others, there is another fact in the other hand for fans who want to join the progressive metal wagon this is a excellent choice to start with, for old fans lovers of "The Olden Domains" is not yet time to live those glorious days of yore, but I firmly believe there will be a time for it.